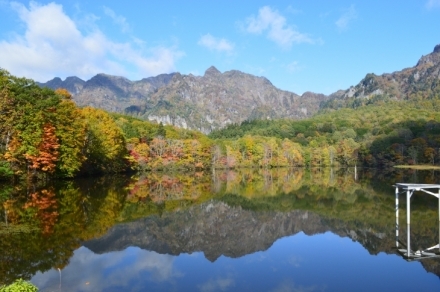 A vast, 71 hectares of botanical garden filled with green, where everyone can fully enjoy the charm of Togakushi. The garden is also known as national leading wild bird paradise, where visitors can enjoy a stroll in a big chorus of various birds, especially early in the morning. 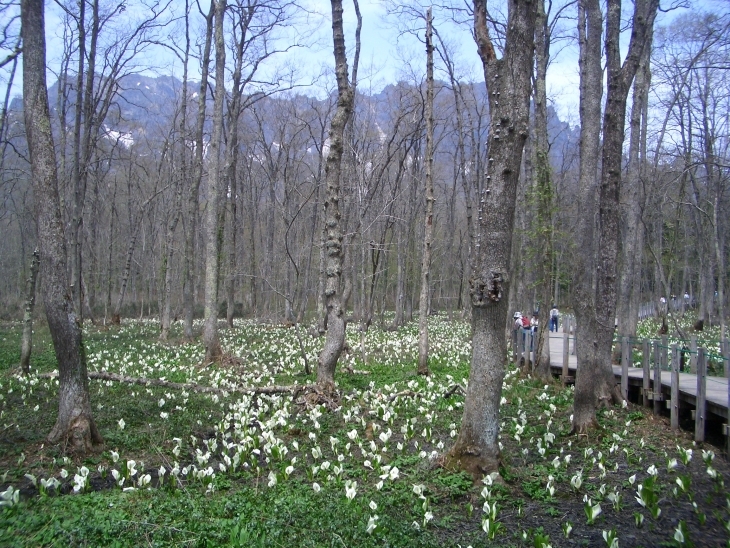 Visitors can enjoy therapeutic walk in the forest as well as observation of various wild grasses and flowers such as white arum, as well as wild animals such as forest green tree frogs and fireflies and various kinds of birds. Approx. 35 km from Suzaka Nagano Higashi IC, approx. 16 km from Shinanomachi IC. Or approx. 70 min on the bus to "Togakushi Campground" from JR Nagano station, get off at "Shinrin Shokubutsuen Iriguchi" stop.